Enterprise software has changed significantly in the past decade. There has been a gradual migration to web apps, also known as cloud computing. 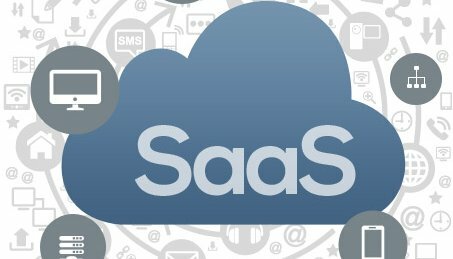 Virtual desktops have filled a void through the migration, but now the market is willing to accept SaaS with open arms. Our best desktop software is pushing cloud authentication and storage. Current predictions suggest that with immense changes in product, we will also be seeing big shifts in pricing models, distribution, and integration. Third-party software tailored to specific industries will become the new standard for making an ERP system do what you need it to do. Assuming you are not organizing the next moon landing, there will be a wide menu of apps available to put together the necessary workflow. The best SaaS solutions not only have accessible APIs, but the integrations with other apps are already done in advance. This isn’t to say that custom or proprietary systems will cease to exist, but the speed at which teams can bolt together a great solution will be reduced. The technical requirements it takes to deploy an ERP system tied to a CRM will also be reduced. The future is going to come down to clicking on logos and entering credentials to get all of your systems to talk. The speed of integration will approach zero, and so will the cost. (For clarity, approaching zero just means it will decrease infinitely, but never actually reach zero—unless, of course, Google decides to offer ERP systems as a loss leader, as they do with Gmail). As a rule of thumb, small to medium-sized businesses can expect to spend around $200k-$1M for an ERP system. The competitive landscape of third-party applications will help to drive pricing downward further. The industry has historically looked at a ratio of 1:2.5 on software-to-services. This ratio is moving towards parity which means that the ROI on these systems can be realized much sooner. Theoretically, the cost of an ERP system by design should be less than the amount it saves over its useful life. The days of amortizing setup costs over two years are dead. The battle for enterprise superiority is not always one among the Fortune 500. According tothis report, 95% of Microsoft’s sales come from channel partners. Microsoft is the quintessential example of a company that is rounding the corner of cloud computing. For the first time ever, cloud-based software surpassed 10% of their revenue. For the purpose of this article, let’s define indirect revenue as business booked through external partners. Whether these are brokers, VARS, or reps, it all falls into this bucket. Supporting a partner takes more than just a cool demo. Companies that are successful in building indirect sales invest into onboarding programs, training, co-marketing, and ongoing programs to keep their products top-of-mind with their partners. The indirect channel allows SaaS companies to reach more verticals and scale distribution more efficiently. The two areas where we expect to see technology make a large impact is on lead generation and channel management. The lines begin to blur on sales vs. marketing as they become one-in-the-same. The idea here is not to replace the human communication with customers. The real objective is to leverage technology to ensure that the interactions that are happening are with qualified leads and opportunities. Outwork focuses on giving partners the tools to be able to operate autonomously while also removing a significant amount of unnecessary data entry and touch points. These are the trends that we’ve observed happening in throughout enterprise SaaS. We take these trends into consideration around everything we do to build scalable partner networks. If you are configuring your partner program, feel free to reach out for some advice and let us know how you are configuring your sales network for scale.